Thank You Rice: An Open Letter | My Three Senths: Sports. Business. Life. Thank you Will Rice New Student Class of 2016 for making everything worth it. 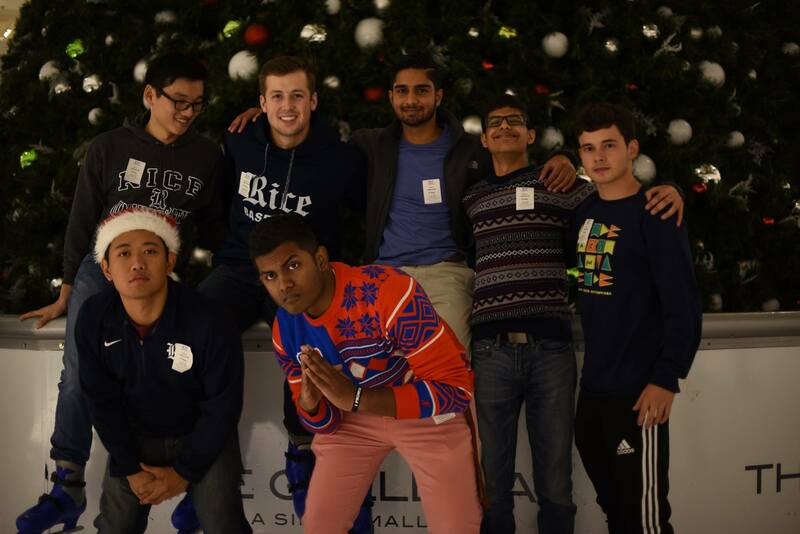 I’ve done a lot of things in my time at Rice, some good, some bad, and some terrifically weird. But this was the one thing I did right. Whether I have interacted with you a lot or a little, getting to know you all and seeing you grow throughout just this past year has been the most rewarding part of my Rice experience. Throughout my second semester of Junior year, as I went through one of the most turbulent personal 6 months of my life, coordinating gave me a sense of personal responsibility and purpose, a direction where once I had felt lost and aimless. When I first met you, I didn’t know what to expect or what I was getting into. And to be fair, given that one of you described your first impression of me as being patently uncomfortable with the number of top buttons unbuttoned on my shirt, clearly neither did you. I mean, you weren’t wrong – leaving one too many buttons unbuttoned is a terrible habit of mine, and I’m just glad y’all were more forgiving of it than the real world is going to be. To answer the first question you ever asked me, yes I do lift, sometimes (not as often as I’d like though). These shoulders didn’t build themselves (they mostly did). You’re champions – all of you – whether you realize it or not, whether you’ve acknowledged it already or not, whether you’ve discovered for yourself what that means yet or not. And whether you like it or not, for better or worse, you’ll always be Marita’s, Ronda’s and my freshmen. You guys are hyperbolically crazy, extreme, shameless, fearless, and I love y’all for it. I can’t wait to see what you do next. Thank you Basketball for being the best sport in the world. Thank you AJ Mao and Ben Hoff for teaching me the importance of never taking anything, including myself, too seriously. A lot of people would drop everything to help their friends through surgery, but I can’t think of many who would then turn latex surgical gloves into balloons and distribute them to everyone on the hospital floor upon news that the surgery had gone successfully. Our time together has been illustrious. Like when we bought 60$ worth of French fries from McDonalds. Or when we went hot-tub hopping at different ski resorts in Colorado. Or, my personal favorite, when we took a Beer Bike photo that involved the three of us posing in nothing but our boxers in front of Willy’s Statue. 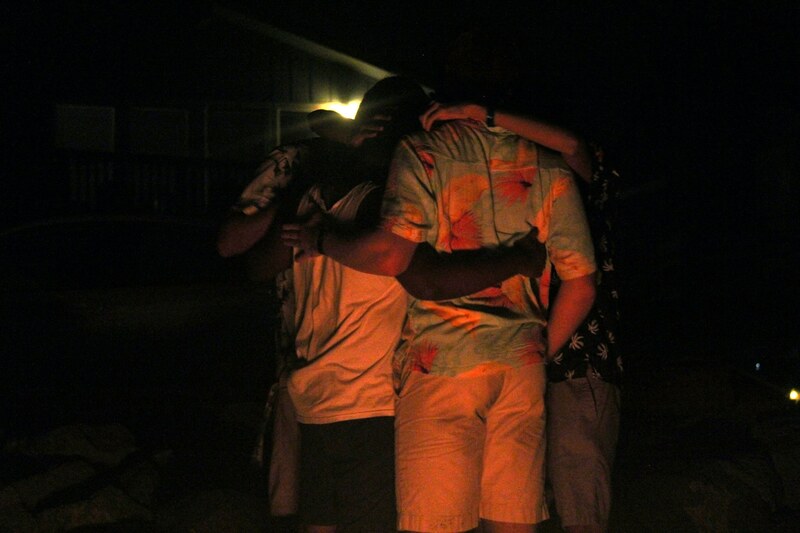 You guys are the best friends I could have ever asked for, and I’m going to be pretty disappointed if that ever changes. I owe you more than you’ll ever know, beyond just the naming rights to my first-born. Thank you OEDK basement for having free Netflix and a couch to sleep on. Thank you Fondren Library Roof for…you know what, let’s skip this. Thank you Bridget Gorman, Mike Reed, Joyce Courtois, and Jason Sosa for being an incredible foundational adult team that helped me understand the concepts of personal responsibility, community, and dominating Fantasy Football (looking at you Mike). Bridget and Mike, it seems like just yesterday that I walked through your house for the first time, picking up my shirt and shaking your hands. I’m lucky to have had your support for all four years of my time here, and I only know that I’m still probably taking it for granted. Joyce, I’m only partly joking when I say this, but you’re the reason that Will Rice hasn’t burned itself down yet. Thanks for being an incredibly perceptive and motivating person, a perpetual figure of enthusiasm, and for not judging me when I asked you where on the envelope to write the return address. Sosa, I realize that our first ever interaction was me laughing when you said you were a Cowboys fan, but thanks for being an awesome associate and an inspirational person. And for all the burgers. #SosaLawFirm forever. Thank you Braden Rollins. There’s no need for me to repeat myself on this one – I’ve already told you everything I had to say. Thank you Suite 371-374 for giving me a baller senior year. Alo you frodd, I know I’ll always be not-an-Arjun, but joke’s on you; that’s the best compliment you could’ve given me. From the matching Obama masks on Halloween to that one time you took me to go kickboxing (in which I summarily died) and all the United Airlines jokes in between, it’s the end of an era man. Asad, Joel, Rohan, Danny, and Michael – go nuts. You still have two years left. Make them even better than the first two. And never stop going to Sushi 9. Also Asad, I just want you to know that I’m better than you at 2K. I’ve been hustling you this whole time. Thank you Vivas and Veronica for being two of my first friends at Rice and two inspirational mentor figures that I look up to everyday. You guys are the reason that my college career turned out the way it did, and even that feels like I’m selling y’all short. I won’t forget the first time I met y’all – talking about OwlSpark for two hours in the OEDK kitchen. I had not the faintest idea what was to follow from that conversation. Vivas, I know you’re not a doctor, but you’re still okay in my book. I admire so much the personal disciple you have, and hopefully I’ll one day get to that level (insert receding hairline joke here). Thank you ELEC Junior Lab for somehow letting me 3D print my way to an A in the class. Thank you Physics 101 and 102 for toughening me up by making me fail almost every exam in the class. It was a bold strategy, but I think it worked. Thank you ELEC 261 for absolutely nothing. You were not a particularly fun or good class. Thank you Sid Richardson College for being a second home away from Will Rice. While I still will deny the slanderous rumors that I ever claimed Sid was better than Will Rice, I can’t deny the close bonds I have with many Sidizens. From upperclassmen like Travis Guzzardo and Alex Nuñez to my aforementioned brothers AJ and Ben to the Boys – Sidd, Steven, James, Cyrus, Mathieu, and Nathan – what can I say that wasn’t already recognized the fact that I held my 19th birthday party on Sid 6th and partook in the Mr. Sid acts two years ago? I have to save at least some one liners for the summer. We still have work to do. 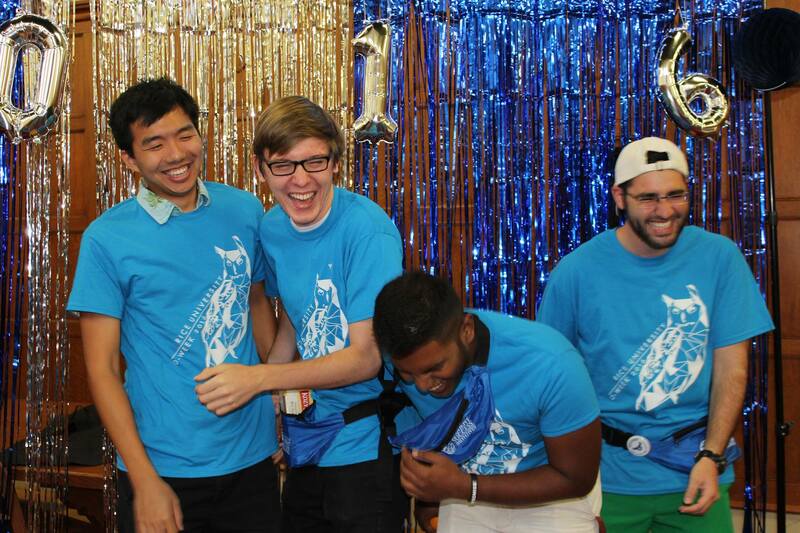 Thank you to the Daddies – Harry, Jeremy, and Chris – for being the best coordinator suite to ever pass through Rice. We were legend. Also we used a Chipotle catering box as a TV stand so that basically speaks for itself. From our weekend excursions to the 2K leaderboard to the weekly ball sessions, the Daddy Suite was truly a hallowed institution. My only regret is that I didn’t know y’all before the summer. Remember when we raised chaos over flash drives on a whim, just because we wanted to amuse ourselves? In the end, they really couldn’t fire us, could they? We were too good. Thank you Sai and Kush for being two of the most awesome Indian dudes that I’ve had the pleasure of knowing. Sai, you’re an incorrigible bandwagon fan but it’s alright. I remember lining up across from you in Freshman Flag (not that it’s one of my more pleasant memories of our time together, Hanszen roasted us). I’d say that it’s incredible how far we’ve come since then, but that would be doing a disservice to your incredible work ethic and ability to empathize with others. Kush, you incorrigible Rockets homer, all giraffe jokes aside, your example in coordinating O-Week was what motivated me to pursue that as well. Your natural gravitas is something that can’t be taken for granted, which is more than I can say for your work in my class (kidding, obviously, maybe). Thank you Raising Canes on Westheimer for simultaneously being delicious and bringing out the worst in my late night food tendencies. Thank you Hopdoddy’s for offering the Ahi Tuna Burger, my favorite burger of all time. Thank you Whataburger for being the greatest late night food stop in America. Thank you Squirtle Squad and Daredevil Wears Prada, my freshman year O-Week group and my first O-Week group as an advisor, respectively. O-Week is the perfect bridge to the Rice experience. It’s both the embodiment and the reason that the Rice experience is so special for so many students. Most of my comfort level with Rice and a lot of the friendships that I created were a direct result of O-Week. For so many students who are still coming to college trying to discover themselves, O-Week gives them the medium to do exactly that without fear of consequence. For so many students who are afraid of being lonely in college, O-Week gives them friends and a community. Without O-Week, students would be essentially thrown into the fire, treated as just one number amongst four thousand. But O-Week creates a sense of intimacy, a genuine caring and feeling of family, that smoothens one of the toughest transitions of a young adult’s life. Without O-Week, I may as well have gone to a state school. That’s how transformative my experience was. I only hope that I’ve done my advisors proud. To my Daredevil freshmen, you guys are incredible. It’s been such a pleasure seeing y’all take command and own your Rice experience the way you have. Thuc, you’re going to be a better coordinator than I ever had the capacity to be. Thank you Rice University for being a place where even an awkwardly shy immigrant kid could find a purpose and a home. It took me 13 years to get my green card, but I got to attend a university where we have a campus-wide water balloon fight every year. This is basically the American Dream! Remember the Conference USA championship game in our freshman year, when we braved the cold to watch Rice just put a hurt on Marshall on national TV? Remember when we packed Tudor to watch Uncle Joe Biden talk? Remember all the Baker 13 runs? We probably won’t run Baker 13 in the real world, but we can always continue onward with that same vigor and those lifelong bonds formed over the last few years. Rice fight, never die.